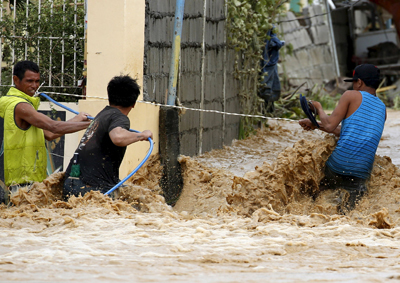 MANILA, Philippines (CNS) — Catholic relief workers were on their way to a typhoon-stricken portion of the northern Philippines, including an area from which there had been no communication. Typhoon Koppu made landfall Oct. 18 on the eastern coast of Luzon, the country’s main island in the North, packing 108 mile-per-hour winds that toppled power lines and trees and blew off roofs. Its pounding rains caused chest-high flooding in some areas, while swollen rivers overflowed and forced some residents to their rooftops. Government officials confirmed three deaths by late Oct. 19. 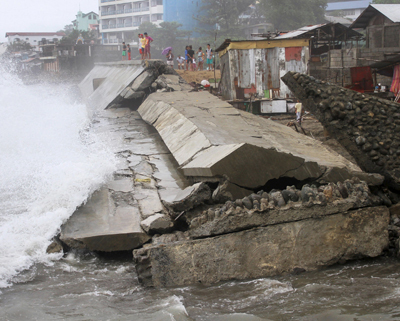 The civil defense office said more than 280,000 people were affected by the storm. 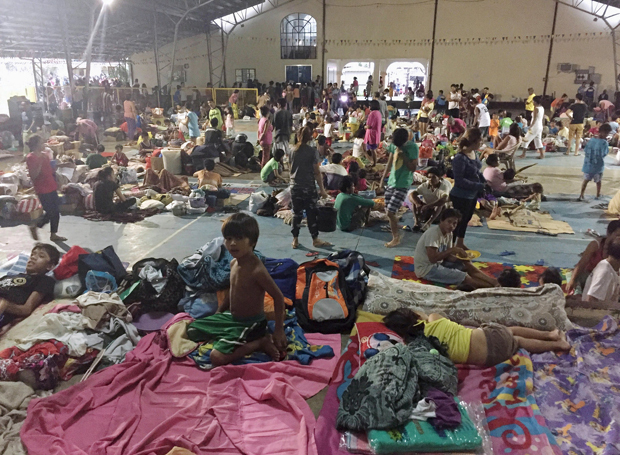 About 70,000 were in evacuation centers. 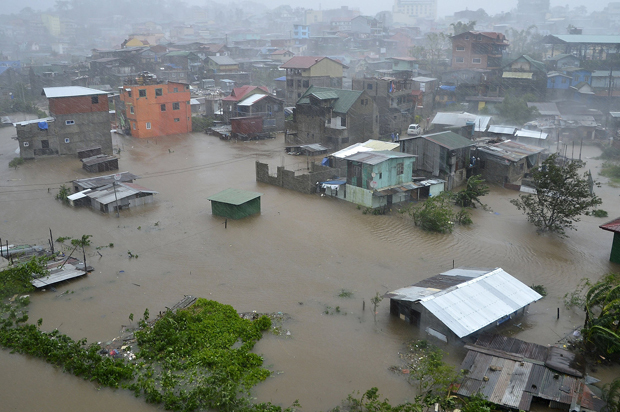 “Those are areas around the Pampanga River, which is now flooding, and the flooding will continue because the rain is still coming through,” he said. While Koppu moved northwest at 3 miles per hour, the head of the state weather bureau said some parts on the west could expect half a month’s worth of rain in a 24-hour period. “There are so many villages on deep slopes in mountains and in valleys near rivers that are very vulnerable to landslides and flooding, so that’s what we want to watch out for in the next couple of days,” Curry said.